I just wanted to give a quick shout-out to Rosa B. over at Capture the Little Things. 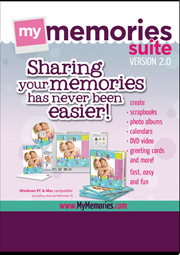 She was hosting a fabulous giveaway of My Memories Suite software and I just won it. I am beyond thrilled. I can't wait to try it out. Just wanted to say thanks so much, Rosa! !